Communication is saaaahhhhh key to getting results, and that’s true for everything in life. When you’re at the stage of “I know I need a website, what now?”, heads start whirring with what-ifs and where-fors because this web stuff is something totally out of the norm for most people. If you’re looking to order your favourite coffee, you know exactly what to ask for. You’ve had coffee before. You know you like the foam and nuttiness of almond milk over moo milk, and the buzz of robusta over arabica. As an aside, have I mentioned how much I love coffee? Let me draw you a picture. How can you give a great brief which the designer or developer picks up and says, “yes! fantastic!” Tough stuff. You want to achieve a goal (sales, conversions, information to the public are examples) and you want to make sure your chosen person has the tools and skills to deliver. If you can answer the following questions clearly, you’ll be in the right headspace to start a productive chat with your web developer and have them go the right direction for you. tl;dr – break it down and get organised; focus on the content and functions your site needs for the customers you want to attract. Get clear on this first. I cannot stress this enough: your developer is not a business coach, product developer, copywriter, image editor, cat herder, and is also not you. While some of us, like me, will be super happy to develop the words you provide to make them fit the web or to provide an analysis of strengths to brief a copywriter… we just don’t know you and your business like you do. While there will be a time for delivering draft content and then finalising it, you do need some idea of where you’re going to make sure you get the brief right. Revising a brief is costly and downright annoying for everyone involved. 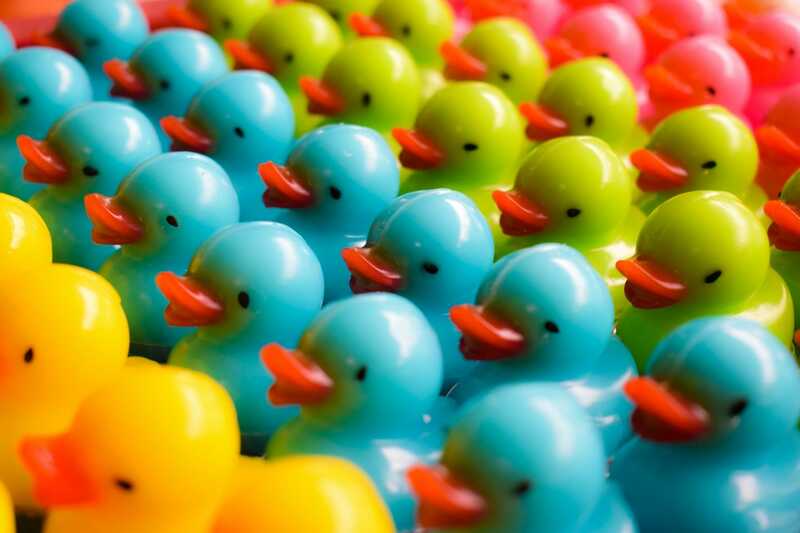 Get those ducks in a row and then we can get them on a screen for you. 2. what function will your site have? Your website is a tool for your business. It can do a bunch of things: sell, validate, show a portfolio, invite contacts, blog, all of those things. And also lead a potential customer totally down the garden path if you don’t know what you want your clients to DO once they get there. Make a list of the functions your site needs, why, and how your customers will interact with those functions. You will have a very happy developer once you find them. 3. do you want to be able to manage your site after handover? High fives if so, but if that’s scarier to you than an huntsman in your gumboots that’s totally fine too. But, this may have a bearing on how your site is set up in the backend. Make sure you make a plan about how much time your site will take each week, your willingness to learn, how your backups will work, if training will be included in your development package, and then make a decision. 4. how will you manage your project? If you have stakeholders in your work, engage them right now and have them understand how the development process will work. Otherwise you could be left with an amazing piece of work the CEO refuses to sign off on or an interface your VA totally hates. Not cool. Now you’re clear on what you really want, you can dive into figuring out what you need to ask your designer/developer to build for you.